So as we’ve just had national Autism Awareness week and I thought it might be a Good time to share with you some of my personalmoney saving tips. Now parents who have children that aren’t on the autistic spectrum won’t appreciate how much more we have to spend on EVERYTHING . My first example being paint. Our autistic twin boys are a whirlwind of mess not intentionally but it’s still the truth. After 1 day in a room they will age it by a year with wall mess. We were originally decorating on a regular basis (monthly)at least. Now we keep a can of paint in the shed, on average of twice a week one of us will whip it out after the children have gone to bed and give the walls an nice touch up where needed. We find the walls are easier to keep nice and its saving us a heap of time & money. So next time you see an advert for the BOGOF paint deals, generally around bank holidays it’s worth grabbing a few & stocking up. Places like Argos also do free click & collect so you can avoid the delivery fee. Plastic might be a negative word but Plastic Plates with Autistic Children are a Godsend. What an absolute godsend for parents of autistic children! Our boys have a tendency for throwing as they like the sound it makes when the plates hit the floor & I think they like our gasp of shock even more. We have been through endless sets of plates. Now it’s picnic sets all the way. Pick up a cheap plastic plate set next time your shopping, Tesco, Sainsbury’s, Asda or you could probably get it even cheaper in Aldi’s or Lidl. These will last years & you won’t have to jump out of your skins every time your child has dinner. Our sons are very sensory which in turn means anything that is accessible to them will inevitably end up in their mouths. Clothes sadly are no exception to this. We have thrown away enough chewed collar T shirts to every child in our area. As you can imagine this is expensive business. For example we went out & got their winter wardrobe ready, in the first week we had thrown away 3 jumpers a hoodie & 5 T-shirts. This is the curse of sensory overload, you can’t stop them chewing clothes unfortunately. For Spring we have hit up some of my catalogues and gone for the 3 pack or 5 packs of cheaper everyday t shirts. This way you get better value for money. With the cheaper multi pack of T shirts it means it won’t hurt your pocket when the destroy their clothes. So check out the catalogues you have & find the best deals. If you have buy now pay later on any of them it might be worth taking advantage of it. Shops like Primark are over priced now & TBH the quality is little better than Poundland in my opinion. Wooden toys have been one of our personal favourite of late. Our sons are like a bull in china shop, if they can break a toy they will Guaranteed! . Over the years we have had countless disappointed faces where we buy them the latest firman Sam toy, Thomas the tank engine etc only for it to be broken on day one. That’s Autism for you though. So initially you spend a little bit more on the wooden toys but it’s worth it. These toys really last & even survive the severe bite attacks they give them. We brought a lovely wooden bus with some wooden people which slot into it with a detachable roof. This bus is still here 6 months later & still a thorough favourite. Yes it cost more but I would have brought 6 or 7 plastic buses which would have all been destroyed by now. So I went on one of my catalogues and used the buy now pay later option. Nice toy, still loved and will outlast any plastic toy out there. Good investment. 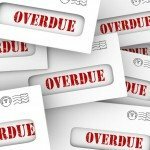 Catalogue Arrears, what happens if I can't pay?